James Thomas Wiltshire was born on 14 September 1877 in Hoyleton, South Australia , son of Thomas Wiltshire and Mary Thomas. Alfred Theodore Wiltshire was born on 3 March 1880 in Blyth, South Australia , son of Thomas Wiltshire and Mary Thomas. Anna Maria Wiltshire was born on 16 October 1865 in Callington, South Australia , daughter of Thomas Wiltshire and Mary Thomas. She died on Saturday, 2 October 1875, aged 9 years, 11 months and 16 days, in Hoyleton, South Australia . Cheveletta Wiltshire was born on 9 December 1867 in Callington, South Australia , daughter of Thomas Wiltshire and Mary Thomas. She died on Sunday, 12 September 1875, aged 7 years, 9 months and 3 days, in Hoyleton, South Australia . 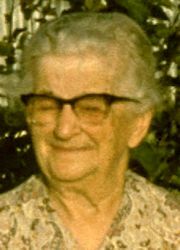 She died in 1944, aged 65 years, in Brighton, South Australia . Effie was buried in the North Brighton Cemetery, Brighton, South Australia . 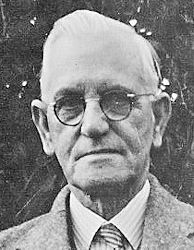 Thomas George Wiltshire was born on 7 July 1869 in Callington, South Australia , son of Thomas Wiltshire and Mary Thomas. He died on Wednesday, 30 March 1870, aged 8 months and 23 days, in Callington, South Australia . Mary Esther Wiltshire was born on 26 December 1870 in Callington, South Australia , daughter of Thomas Wiltshire and Mary Thomas.